1. One group (those by the path) are never able to take the Gospel into their hearts. Satan plucks away the Gospel that they have heard, and they think of it no more. 2. Another group (rocky ground) make professions of faith and seem to do good things for a while, but ultimately fall away from the faith, having never taken root. 3. A third group (the thorns) become true believers (and are presumably destined for heaven), but the materialism of the world make them unfruitful servants. 4. The final group (the good soil) become true believers and are very fruitful servants. I have a few comments about each of these types of “soils” in whom is sown the word of God. 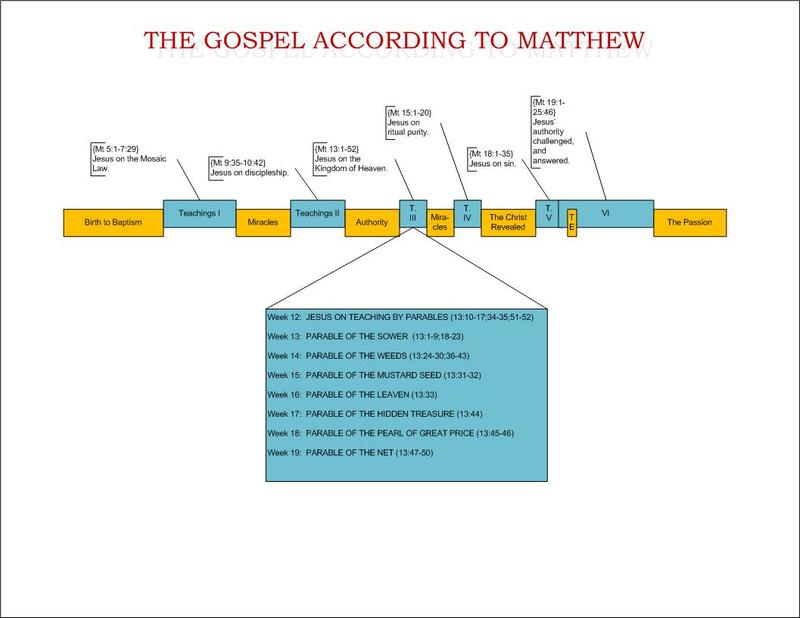 Those by the path, from whom the Word is snatched by Satan, were unable to understand the Gospel. I seriously doubt that this is referring to people who were too poorly endowed with intelligence to understand His word! 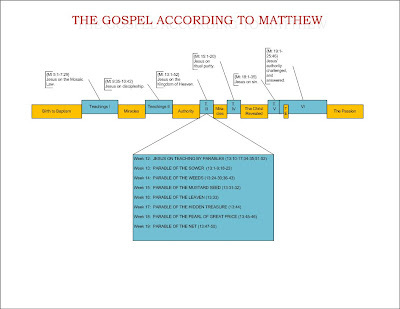 Rather, these are people who cannot spiritually understand the Gospel: that is, they do not see themselves as sinners, or do not believe in God, or do not understand a holy God who must punish sin, or do not believe in Jesus, or do not understand how Jesus’ death could substitutionarily atone for us, or do not believe Jesus is the path to that salvation. This group is typically referred to as unbelievers. But I think it is more than that. I see this group as the “swine” to whom Jesus said not to bother throwing pearls. For consider the Sower: the word is given to them but never even begins to be heard by them. It is brushed off, ignored, easy pickings for the Evil One. There is never even an attempt to hear from God. They are those whom, from the beginning of time, God saw would reject Him; they are those whose hearts are hardened. The next group, those in the rocky ground, I think fit the bill for the majority of westerners today. They are those who heard the Word, received it, but withered away. One key thing to note here: these people probably consider themselves Christians. They did ‘receive’ the Word, but they did not let it take root in their hearts. They “immediately sprang up”, and “endured for a while”, which implies that they did good works in the name of Christ—but ultimately never had their roots in Him. I cannot help but remember how Jesus said that, at the day of judgment, there would be Christians standing before Him who would acknowledge Him as Lord and say that they did great works in His name, yet He never knew them: those are these people. I personally find this to be the most beautiful illustration of how faith and works are interrelated: the Word of God is a seed which is received and, through faith, roots grow that connect you to God. Then and only then do you become a flowering plant. You can do good works with only a superficial faith (the seed that shot up into the sky but failed to endure), but true faith is when the Word of God has taken root inside of you. It implies that you have transferred your trust to Him rather than yourself. It implies that you are immovable from His salvation. The thorny ground probably describes a whole lot of people who will be with us in heaven—and God help me, but I fear I might be one of them. The Christians on the thorny ground are real believers. They received the word, and let it take root. 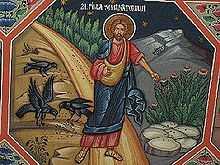 Their faith is their center, and in Jesus’ example, neither the birds (Satan) nor the sun was able to harm this plant. It remains healthy. But because it is too surrounded and encased by the world, it never reaches its potential: it grows, it remains healthy, but it never bears the fruit that it should. The concerns of this world have choked it off. I do not think, as some do, that Jesus is saying this group is unsaved. Far from it: I think His reference to the root system of faith implies that this group is indeed with Him forever. But they are unfruitful servants. Also notice something else: the rocky-ground plants may actually show more ‘fruit’ (i.e., works) than the thorny ground plants—even though the thorny ground plants are the ones with roots! I think this is the case in modern Christianity as well. Many professing Christians who have not truly let Jesus take root within them seem to be wonderful on the outside, and do some truly great things; meanwhile, many truly committed believers who will be with God forever fail to accomplish anything of spiritual noteworthiness, because the world gets in their way. In the day of judgment, this group will be in heaven with Christ while the rootless ‘believers’ will not—indeed, there will be a lot of surprise on that Day, I believe. The good soil are those who receive the Word, take root in the ground, and avoid the thorns of this world. It seems that Jesus is saying that if you want to enter His kingdom as a fruitful servant, all you have to do is: (1) believe in Him; and (2) ruthlessly avoid getting caught up in the things of this world. If you do that, you will bear fruit naturally, and with as little effort as a plant. What a fascinating, and anti-American-Christianity, statement! In modern American Christianity, we would say that if you are doing what God wants you to do, then you will achieve great works; indeed, we would say that the more great works you have, the more faith you have. Not at all the case, Jesus says! In His parable, every bit of “good soil” receives the same seed; and every bit turns into a plant that has equally strong roots; and every bit is fruitful. Notice that it is through no effort or distinction that any one plant bears more fruit than the other. Rather, the difference comes in the planting—and ultimately the Planter. Where He places the seed determines the amount of fruit, not the legitimacy of the root system. In the same way, we Christians are not the ones in control of our fruitfulness. The rare Christians who receive the word of God and manage to shun the materialism of our world are promised to bear the fruit of good ministry. But it is God who chooses the situations of our lives and how much fruit we will bear—not us, and not our faith. To some, He calls to very fruitful ministries: adopting orphans, running homeless shelters, feeding the poor. And these followers of Jesus are glorious and beautiful in the adornment of fruit that they bear on His behalf. But to others, He calls to ministries which are not as bountiful: to be a stay-at-home mother, or to share the Gospel with one random person whom they will not realize will ever be saved, or to live a quiet life of obedience, or to donate quietly and generously. In these He is equally pleased, for their faith was equally deep: only their calling was different. It is their calling and placement in a certain place and time that leads to their beautiful ministries. Too many fruitful Christians find themselves judging others—either judging that “such and such is a better Christian than me” because their fruits are more obvious, or judging that “how can they claim to be a real Christian when they don’t do X that I do” because the other person’s fruits are less obvious. The main key: stop judging. Help those caught in the thorns to free themselves from the shackles of thinking like this world—caring about material things, storing up treasures on earth, or valuing themselves by their works. Instead, help us all to be fruitful—and encourage those who are bearing fruit, whether they are the thirty-fold or the hundred-fold.